Puerto Rico has arrived to and it is facing serious fiscal challenges, which have brought profound changes in its commercial and political dynamics and economic development. The effects and consequences of these challenges have required us to re-examine and re-focus our way to prioritize the use of the resources available to the island. We recognize the need to address with definitive solutions the consequences of past decisions. However, we also recognize that these challenges have provided us an excellent opportunity to find ways to become more creative than ever. Our long-term view of this transitional process have led us to use our wit, abilities to consider multiple models and alternatives to redefine our role in the Americas and reinvent our future as global citizens.Within our range of our current possibilities, at the AAIPR we have decided to become an active member of the global community and its markets. To embrace and fully achieve global competitiveness in all sectors of our economy we are using a strategy of integration, diversification and transformation of our socio-economic landscape. We are preserving our high quality standards and highly regulated bio-pharma and medical devices sector and want to attract more industrial sectors with these characteristics to our manufacturing economy. At the same time we are transforming into a knowledge and creative economy in which we want to attract new businesses and develop local businesses that make a better use of mature technologies in innovative and different ways, develop new paradigms and explore cutting-edge processes, technologies, and products to find solutions for current problems of global impact. One of the foundations of the dynamic socio-economic reinvention of the island is its growing and promising aerospace industry cluster. For the last ten years Puerto Rico has been the host of aeronautical and aerospace businesses dedicated to multiple activities including among others research and development. The aerospace industry differs from other industrial sectors in its potential for diversification and knowledge applicability across different disciplines and industries. Industry sectors such as Information and Communications Technology, Materials Sciences, Propulsion Technologies, Agriculture and Energy can find niches for expansion within the development of the aerospace industry. Jobs from all kinds of employment groups can be promoted once the aerospace cluster is diversified enough to have the manufacturing, services and research and development components. 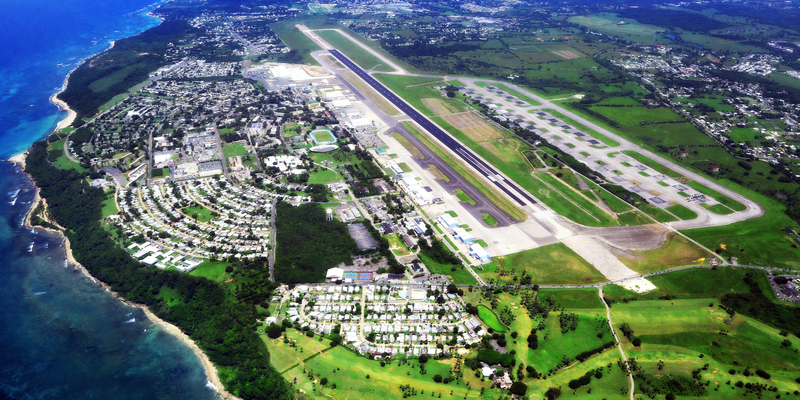 In Puerto Rico the Aerospace Cluster is centered in the Island Northwest corridor (Aguadilla, Isabela, Aguada, San Sebastian, Rincon, Moca) encouraged by installations such as the Ramey International Airport host to the biggest runway in the Caribbean, academic institutions such as UPR Aguadilla and the AAIPR with specialized academic programs and industry players such as: Lufthansa Technik, Lockheed Martin, Infosys Inc., Pratt & Whitney, Honeywell Aerospace, Florida Turbines, Phoenix Cables Inc., CSC Puerto Rico, Infotech Aerospace Services, Hamilton Sundstrand, Opti Manufacturing, Essig Research, JetBlue Airways and Seaborne Airlines. There are three main reasons for this expansion in Puerto Rico: the geographical positioning of the island, which stands it as a midpoint between three continents; the government’s commitment and the potential productivity of local workers; and the relation, prestige and commitment of the University of Puerto Rico (UPR) system for establishing a specialized institution in aeronautical and aerospace technology. In order to adapt its academic offer and being a national project, the UPR established an entity to handle all academic projects arising from this initiative, which creates an knowledge ecosystem that supports and helps to grow the aerospace cluster of the island in alliance with public policy and socioeconomic development strategies. This entity is the Aeronautical and Aerospace Institute of Puerto Rico (AAIPR). To support the establishment and expansion of the aerospace cluster in Puerto Rico, the AAIPR is focused on developing three components: innovation by supporting research, development and commercialization of products and intellectual property; infrastructure development; and the growth of an academic ecosystem with diversity of academic degrees, alternatives and certification programs in aerospace and related industries. The development of this knowledge ecosystem and the other components is possible using a co-creation development model. In this model, industry, academia and government create and nurture the growth of solutions together to benefit the socioeconomic environment of the island. This benefit generates value and opportunities in the short, medium and long term for all components of the various initiatives. This is being achieved by implementing five concurrent and convergent strategic efforts for organic cluster development. The first strategic effort is to integrate and diversify the knowledge ecosystem mainly by the development of a research, development and commercialization initiative. The second strategic effort is centered on meeting the needs of potential aerospace industries, by developing a network of local suppliers able to fulfill those needs. If local suppliers cannot serve specific needs, then the focus shifts to attract companies that can meet those needs and settle on the island. The third strategic effort is to provide alternatives of quality of life for diverse lifestyles and an infrastructure that provides the development of high-tech companies in a secure, stable, multicultural and diverse environment for its employees. The fourth strategic effort is to attract anchor companies and develop local businesses of different areas and disciplines related to the different industry sectors of the targeted cluster. The fifth strategic effort is to restructure the financial and legal ecosystem to attract and develop the investment spaces and infrastructure to fund entrepreneur start-ups and activities and provide an attractive financial environment for entrepreneurs and mature businesses established on the island that wants to create and/or grow their businesses by serving those industries. The full participation of the Puerto Rican diaspora and underrepresented groups such as women and minorities (as defined within Puerto Rico). Economic development that is socially responsible and sensible to the needs, lifestyles and culture of special communities (solidary economy). Will not damage and in all possible scenarios help improve the delicate island natural ecosystem. On year 2016 the AAIPR was invited by the SelectUSA program to share our success story with Lufthansa Technik on Hannover Messe, in Germany. 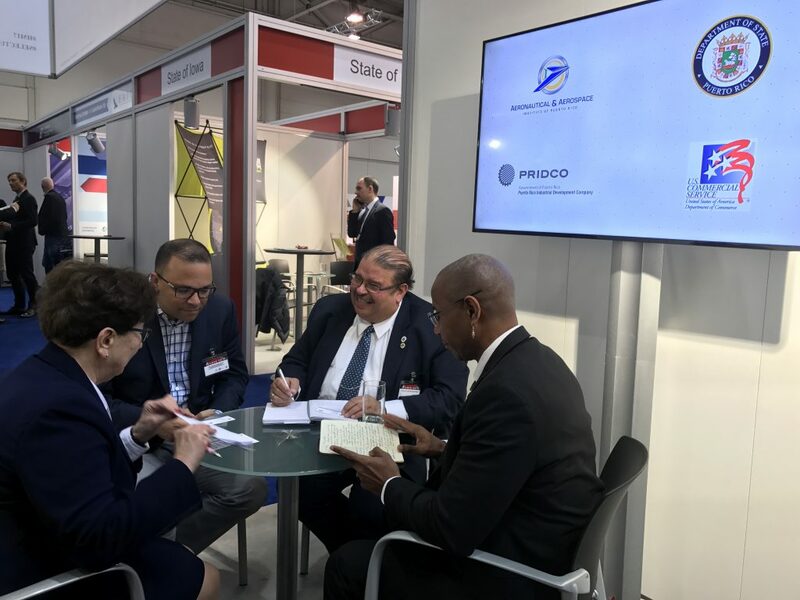 Our success story with Lufthansa Technik is based on the innovative initiative of a co-creation partnership that integrates German and American standards implemented by the Puerto Rican culture. The excellent results obtained by this initiative demonstrates the ability of Puerto Ricans to foster explorations and experimentation that supports the growth and expansion of businesses as well as academic and research activities. But that now has become part of our evolutionary history. Today, we want to offer you and your organization the opportunity to become part of a new co-creation story. Consider Puerto Rico an alternative to explore different business models and relationships. Please follow the links below to have an overview of the current Puerto Rico industrial and business ecosystem and the tax incentives available for investors that establish a presence in the island. Challenges compel us to be creative, creativity encourages innovation and innovation is the key to the universe. Puerto Rico is open for business: Why invest in PR?